The staff at Au Shop at Sunabe welcomes customers to celebrate the store’s 20th anniversary this weekend on Saturday and Sunday. Au’s Sunabe branch shop is celebrating 20 years of service on Okinawa, and to mark the milestone is rolling out some specials to show their appreciation to loyal customers. This Saturday and Sunday, Feb. 20-21, customers signing new cell phone or tablet device contracts or upgrading to new model cell phones are offered a chance to win a premium gift in a drawing featuring Beats headphones valued at ¥32,940 as the first prize, and ¥22,680 Beats earphones as the second prize. During the weekend celebration, new customers and those who upgrade their old phones can get an extra 20% off of all smartphone accessories. In addition to the drawing, they can take advantage of shopping for all smartphone accessories at 20% off normal price discount on both days. Everyone who visits the shop between 11:00-11:30, 14:00-14:30 or 17:00-17:30, can meet with the adorable Au Shika, the company’s official mascot. Also worth checking out is the Speed Wi-Fi Next that boasts the maximum download speed of 220Mbps. Au is now offering a variety of smartphones, including the popular iPhone 6s Plus, iPhone 6s and the Xperia models from Sony. All are adapted to include Wi-Max. 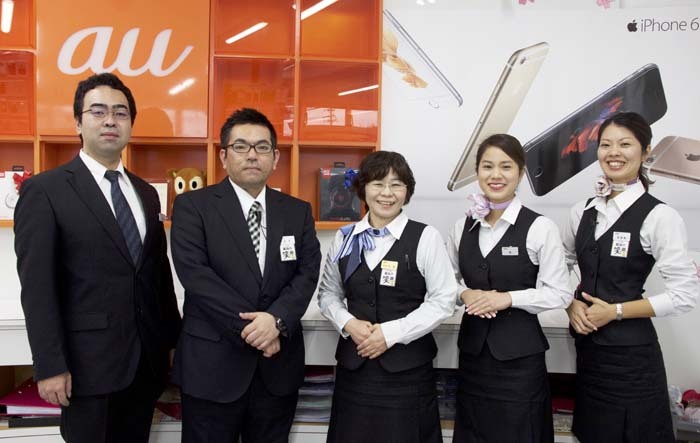 Au first opened its Okinawa shop to cater to customers serving with the U.S. military, providing assistance at a time when most companies offered mobile phones for purchase only to Japanese customers. 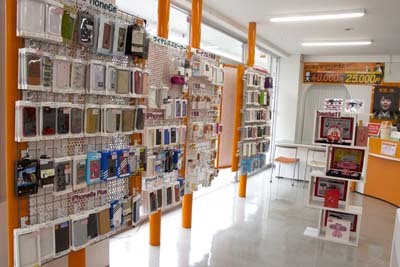 The Sunabe store has built its reputation and business as a local, friendly company, promoting the cellular company’s strong mobile phone signals as a strong selling card. The Au Sunabe is open on weekdays from 10 a.m. to 7 p.m. For more information, call (098) 926-2970. Free parking is available in front of the shop.